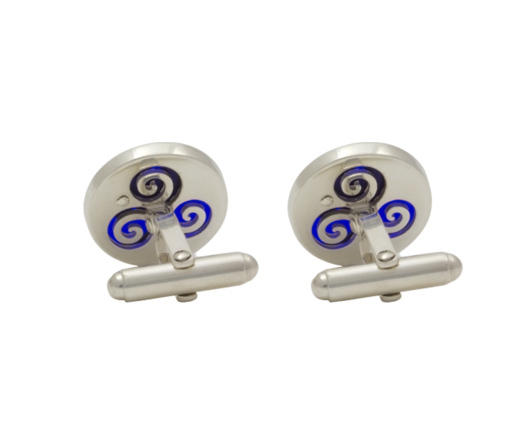 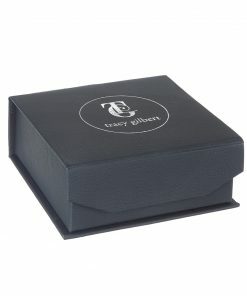 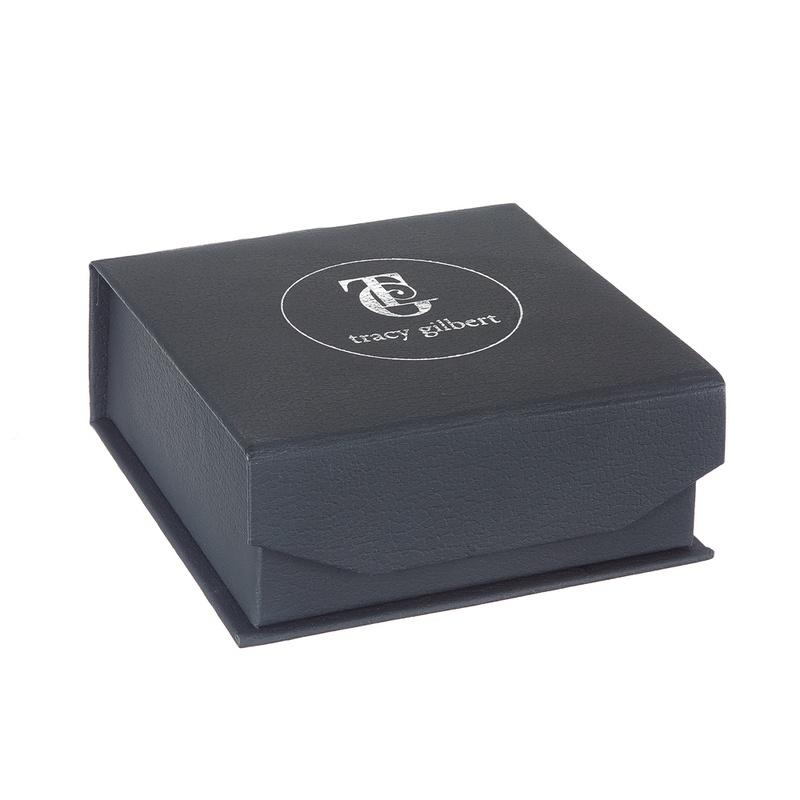 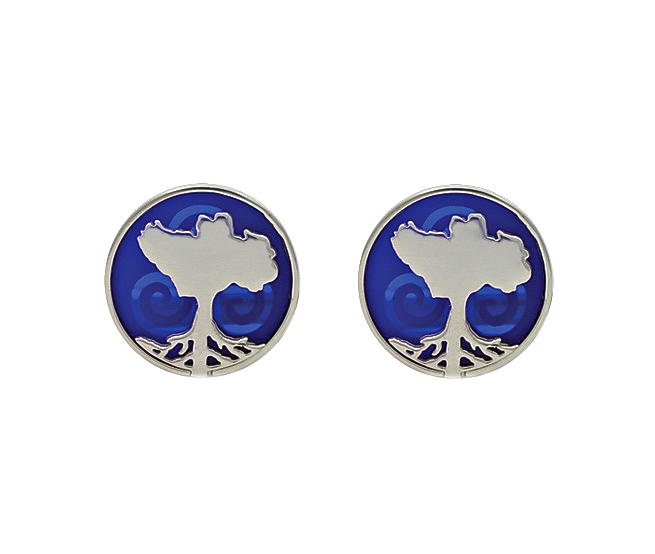 18mm Sterling Silver round cufflinks. 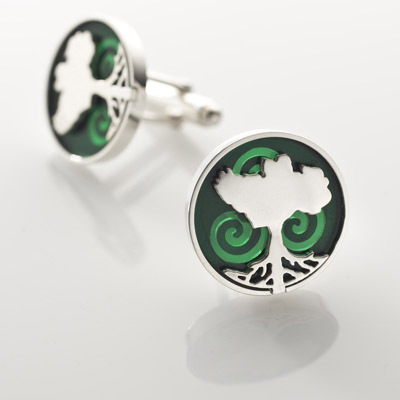 Available in emerald green, red and blue. 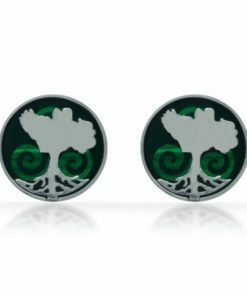 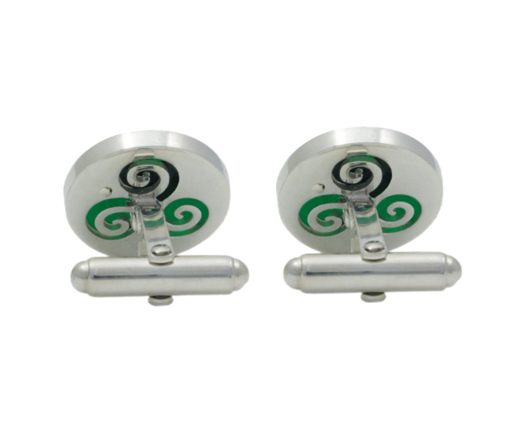 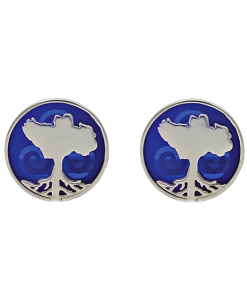 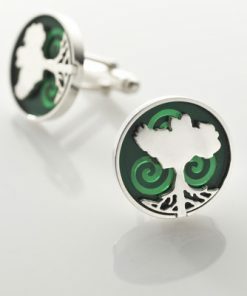 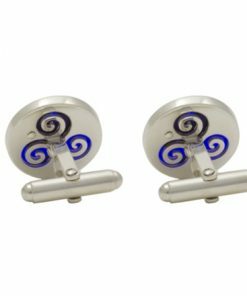 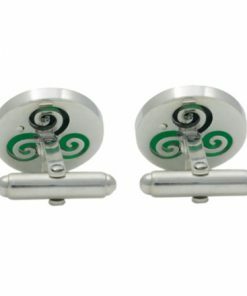 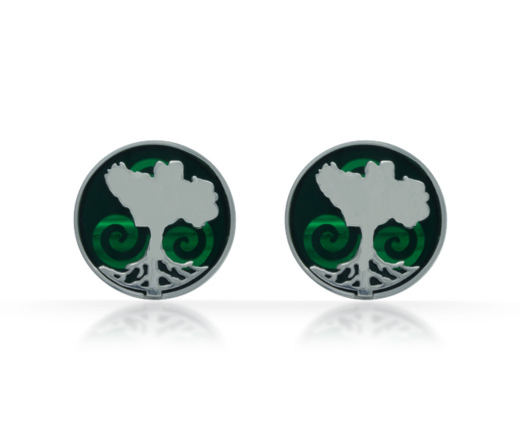 These 18mm cufflinks are handcrafted from Sterling Silver and are available in emerald green for the land and blue for the ocean.